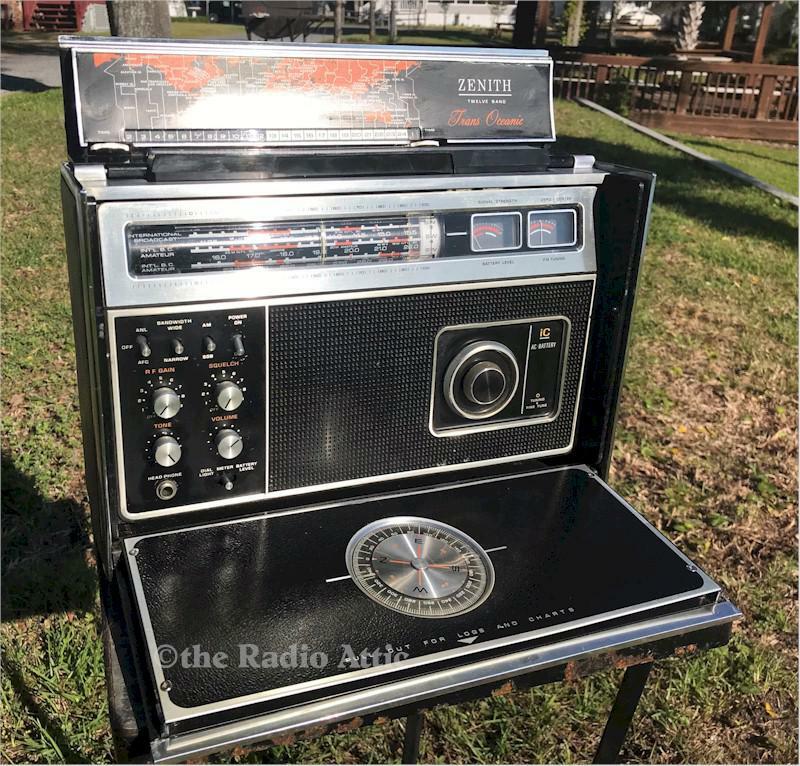 To see more of this seller's radios, visit Bob Horace's Attic. This is another fine example of a R7000-2. A superb radio and a rare radio; of the 75,000 R7000-series radios made, only 25,000 were R7000-2's. It is not just serviced but is restored to original playing condition that will last another 40 years. I replaced all 22 electrolytic capacitors by taking the radio completely apart and aligning each band for peak performance. I also clean the pots and bandswitch as well as lube it. In this way the radio is back to the original values and plays like new. The -2 is the last of the R-7000 series and is sought after because it has large gears for its tuner. They do not break. Whereas the R7000 and R7000-1 have a small gear on the tuner and they tend to break. The other problem with these radios, that no one ever talks about, is the bandswitch clicking mechanism. Half of the radios today do not have that working. This one's bandswitch clicker works well. The antenna is straight and true. The battery box is pristine. One year warranty. The radio will be shipped back to you by USPS Priority which only takes 2-3 days. Read some of my feedback on eBay under Hammer39. You are visitor number 1,276 to this page.